After finishing up their headlining summer tour, Brooklyn duo Sleigh Bells are hopping right back on the tour bus to open for LCD Soundsystem as of September 24th. They’ll be playing V Festival, as well as the venerable Hollywood Bowl on October 15th, where the two bands will be joined by special guests Hot Chip. 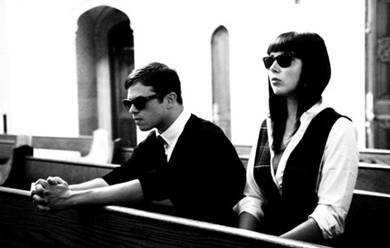 Sleigh Bells released their debut Treats this spring and took the indie world over with their bracing mix of sweet vocals, whip smart grooves, heavy guitar and hip-hop beats.